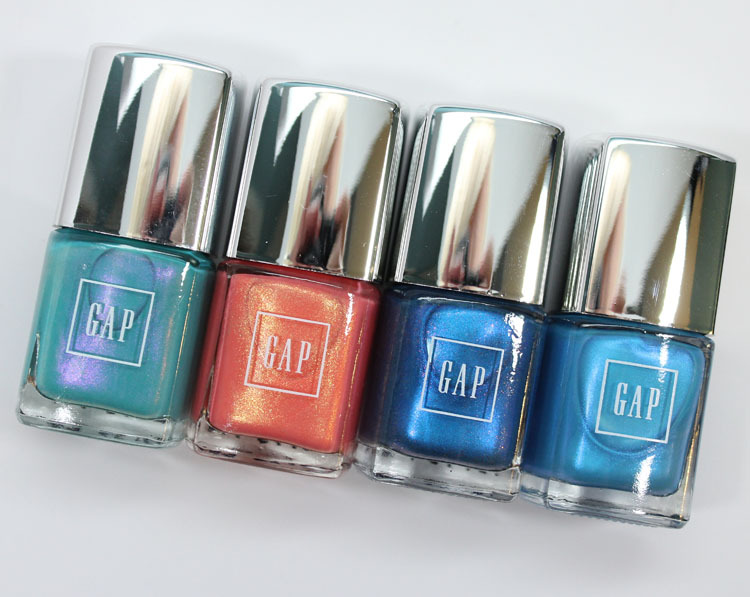 As you may or may not already know, GAP nail polish is a thing. I think they only sell it in North America and in-stores only though, which makes me feel bad for all those who can’t get their hands on it! 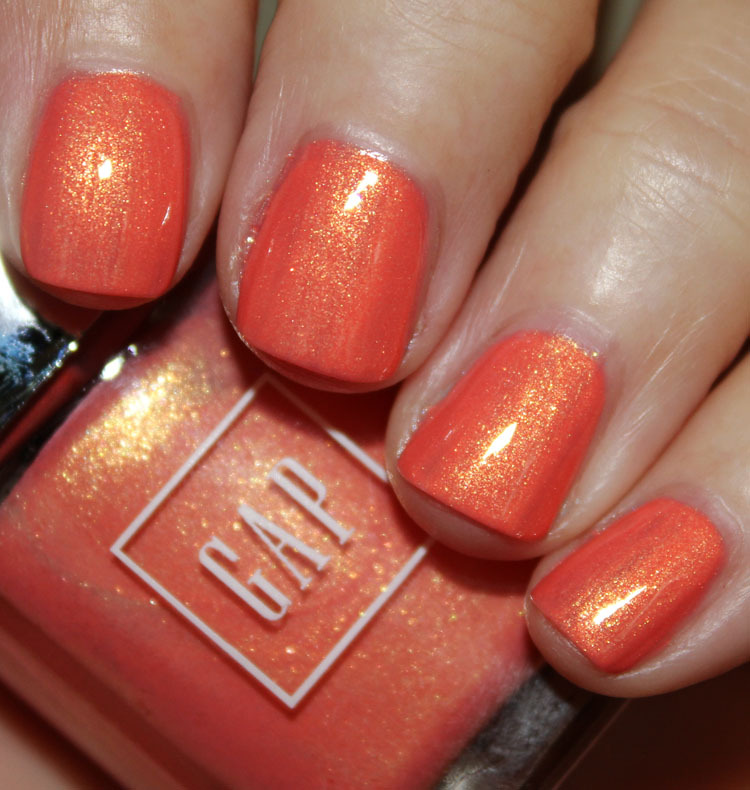 But alas, I have some swatches of some that I recently picked up anyway. You already saw Bright Pool in my post where I compared it to Rescue Beauty Lounge Aqua Lily and found it was a dupe (yay!) but there are three more I picked up that I have for you now. 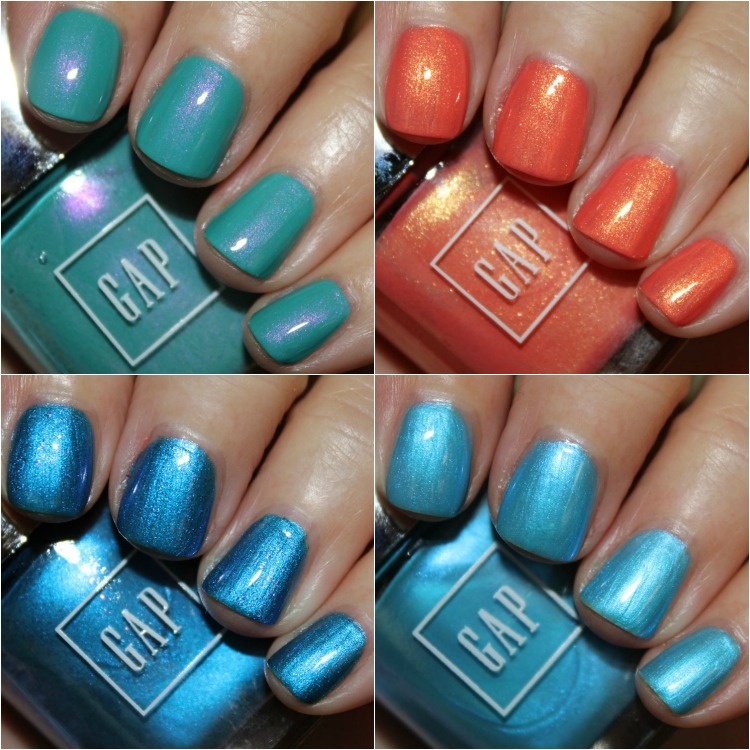 The formula with all four of these was on the slightly patchy side. I don’t know what it is but all their shades seem to settle into my nail ridges and create patchy areas. Bright Pool and Sunset Shimmer are the patchier ones. Sparkling Sea covered nicely with two coats. Blue Lava is a bit watery and streaky and I used three coats. Availability: GAP in stores only (I think only in USA/Canada). Pricing: $6.00 each, or two for $6.00 when on sale. 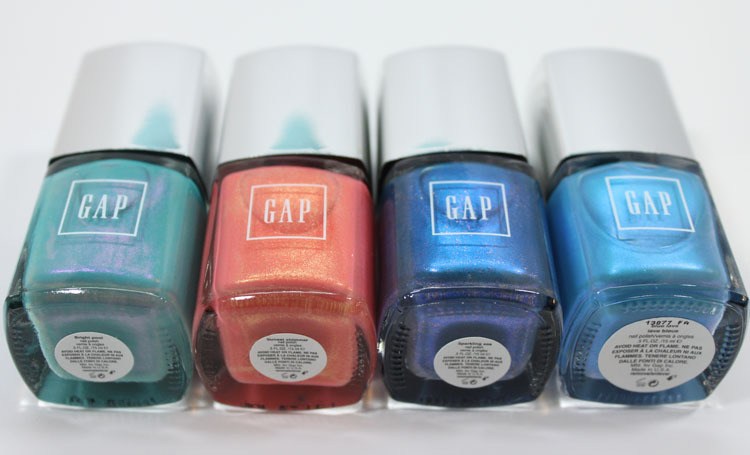 I already know some of you went out and bought GAP Bright Pool after my comparison to Aqua Lily. Do you like any of these others as well?